Simply take one fully lined skirt, add frilled sleeves and throw in some hand smocking on the bodice. Finish with some delicate embroidery and a secret spell, and there it is – the recipe for the perfect summer dress. 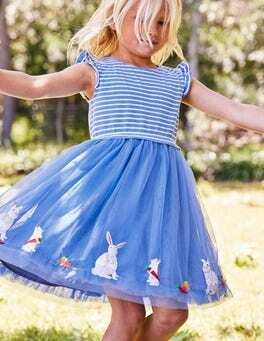 The skirt on this sparkly dress is as bouncy as the Easter bunny, thanks to tulle layers and a full lining (which keeps it as soft as the little chicks sitting around the hem). 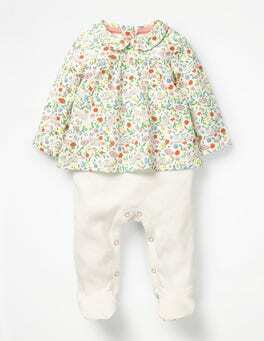 A jersey body with frill sleeves make it comfortable for more energetic egg hunters. Time to chase some chocolate. 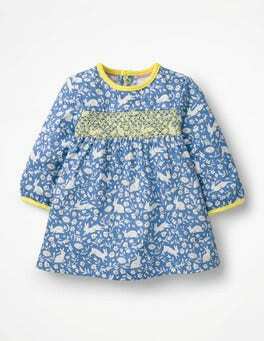 This printed dress is perfect for outdoor adventures, thanks to its soft crinkly fabric. 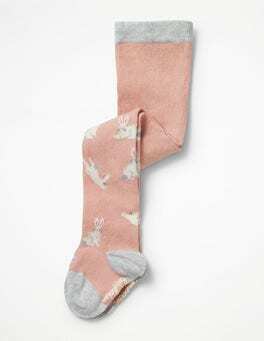 The fluttery sleeves make it ideal for garden games, and its lining ensures a warmth on chillier days. The bright bunny and flower pattern is just the icing on the cake. 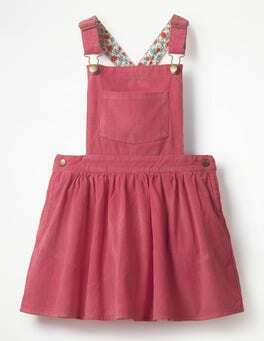 There's pockets, and then there's the pockets on this cord pinafore dress. 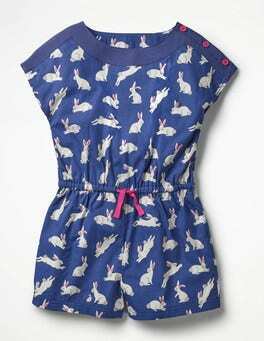 Playful designs make this sleeveless style extra fun: choose between hearts, bunnies or cats. Inside is a pretty floral lining and there's a zip at the back to make getting dressed a breeze. Now, where did those sweets go...? 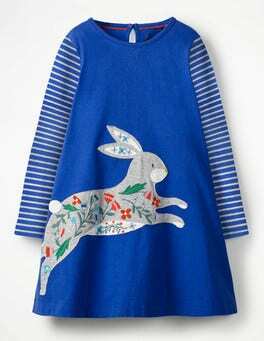 …choose between our favourite animals, flowers and colours – so we put them all on this dress. 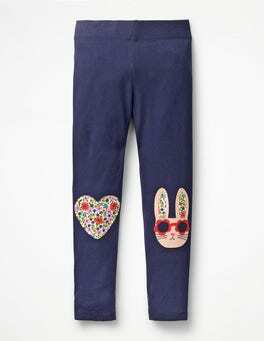 Friendly pals are brightened up with appliqué detailing and metallic threads. 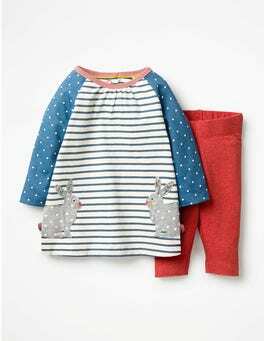 The swing style and soft cotton fabric make the dress perfect for swooshing. We put stripes on the sleeves too, just because. 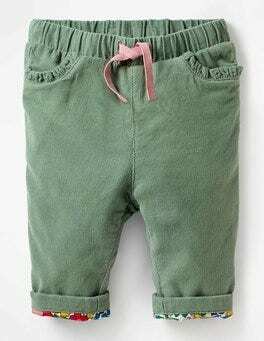 These cotton leggings are (almost) as playful as you are. 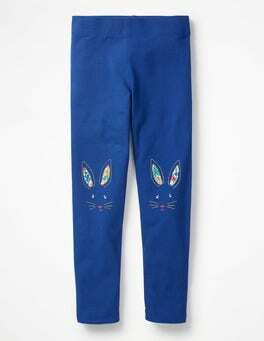 A bit of stretch means they're perfect for cartwheels, while embroidered details add a bit of extra fun. Slip them on under your favourite dress for an everyday outfit with a cheeky twist. 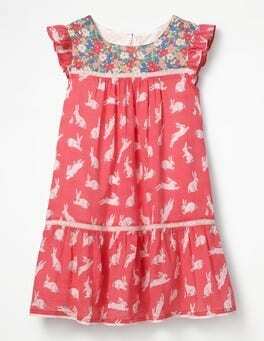 With its playful prints and classic smocked design, this dress will charm the socks off every grown-up in the room. 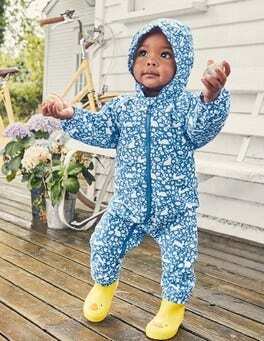 It's made from soft jersey and has long sleeves to keep little ones snug. The popper placket on the back makes quick costume changes easy-peasy. Afternoon bike rides, sunny strolls and lazy picnics… is there anything our pretty floral playsuit can’t do? It’s got an elasticated waist for a comfortable fit, as well as handy pockets for super duper important stuff. Nifty buttons on the shoulder make getting dressed a breeze. 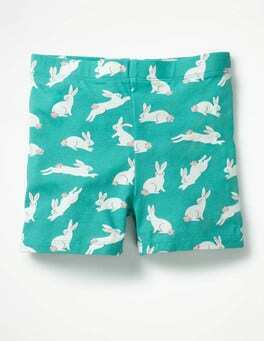 …any skirt into an all-action outfit with these lightweight jersey shorts. 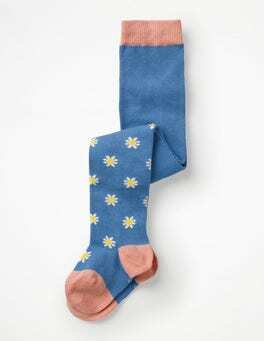 Pop them on underneath and you can climb, tumble and hang off the monkey bars all you want (or simply wear them on their own, of course). The short length means they won't spoil the look of your favourite party dress either. Daytime dressing is a cinch thanks to our gift bag of printed pointelle outfits. Picot trims and bows at the neck add a special touch to these mix-and-match tops and bottoms. The envelope neck makes changing easy and the snug fit means they're ideal for bedtime, too. …cotton with a touch of stretch, our easy-going tights feature a contrast heel, toe and waistband. 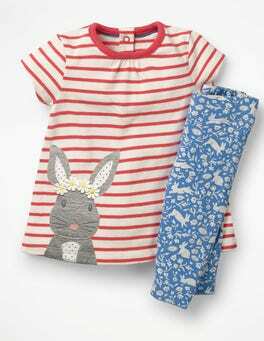 The pretty spot motif and baby rabbit print make choosing between the two a little bit tricky. They're the perfect partner for dresses when it's still too chilly for bunnies to leave their burrows. 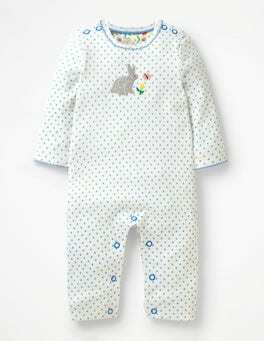 Sweet picot trims and a playful appliqué bunny make this cosy spotted romper a pretty special outfit. 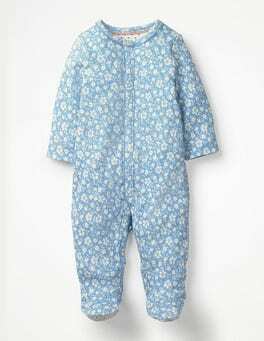 Crafted from 100% organically grown cotton without the use of nasty chemicals, it's gentle on the planet as well as on skin. The contrast gold popper makes for easy dressing. This twin-pack of essential rompers will save the day when you need a simple outfit, fast. 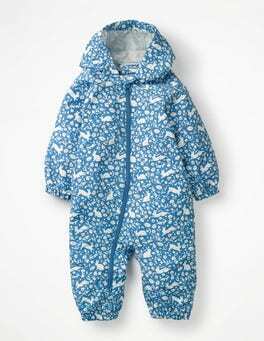 Poppers all the way down make quick work of changing and the soft fabric will keep baby happy and cosy all day long. …supersoft cotton with a touch of stretch, our easy-going tights feature a contrast heel, toe and waistband. 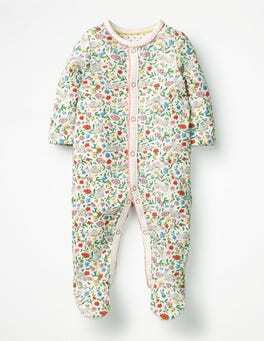 The pretty daisy or baby rabbit print makes choosing between the two a little bit tricky. 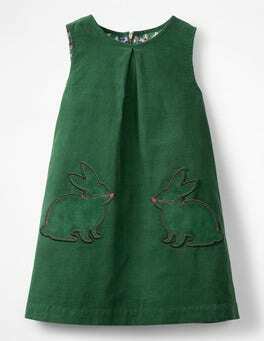 They're the perfect partner for dresses when it's still too chilly for bunnies to leave their burrows.